As long as I have some sort of protein available, I can whip these together pretty easily. My pantry is almost always stocked with salsa or enchilada sauce, and an endless supply of cheese and tortillas dwells in the fridge. 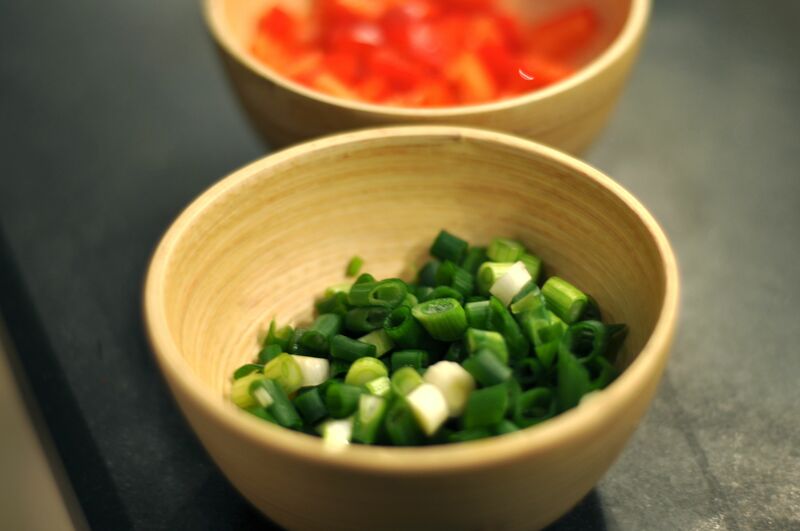 To liven things up, add some sliced jalapenos or pepper jack cheese. We keep it mild, then the heat-lovers among us add hot salsa and pickled jalapenos on top. 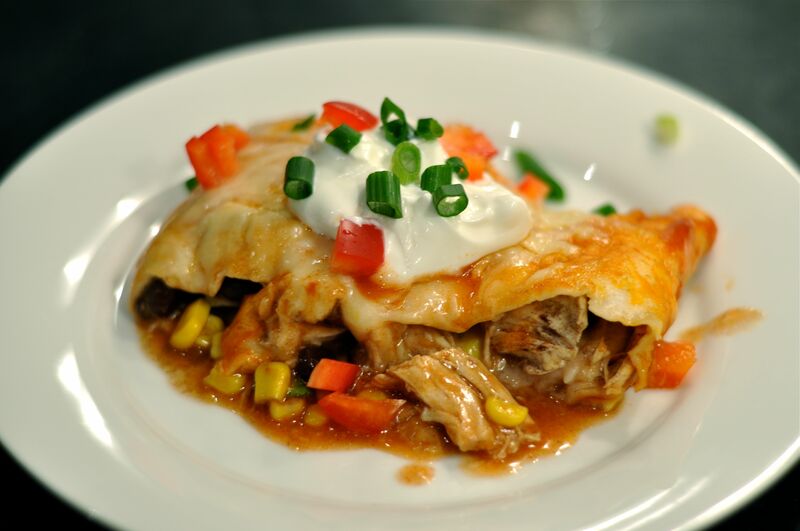 I’ve made enchiladas with ground beef, steak or pork, but using a rotisserie chicken cuts down on prep time, and when you get one at Costco for around $5, you can’t beat the price. From start to finish, this dish takes less than an hour and can even be assembled earlier and popped in the oven 30 minutes before dinner. For picky eaters, just fill the tortillas with the basics that everyone likes, even if that’s just cheese and chicken, then fill bowls with add-ons, such as corn, avocado, black beans, red and green peppers, and scallions. Or you could go ahead and garnish the plates with a colorful display of goodies like I did and risk hearing, “What are those green things on my enchiladas?” It was worth a try. 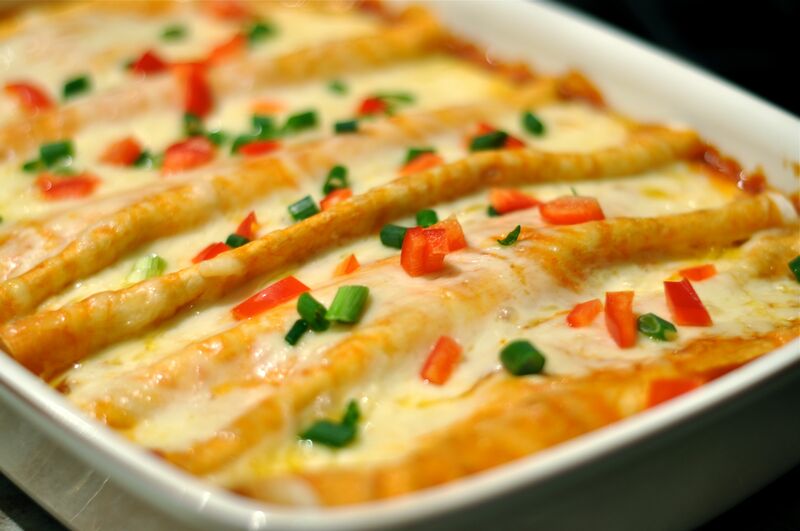 In a large bowl, mix shredded chicken, 1 cup cheese, beans, corn and 1 cup enchilada sauce. Set aside. 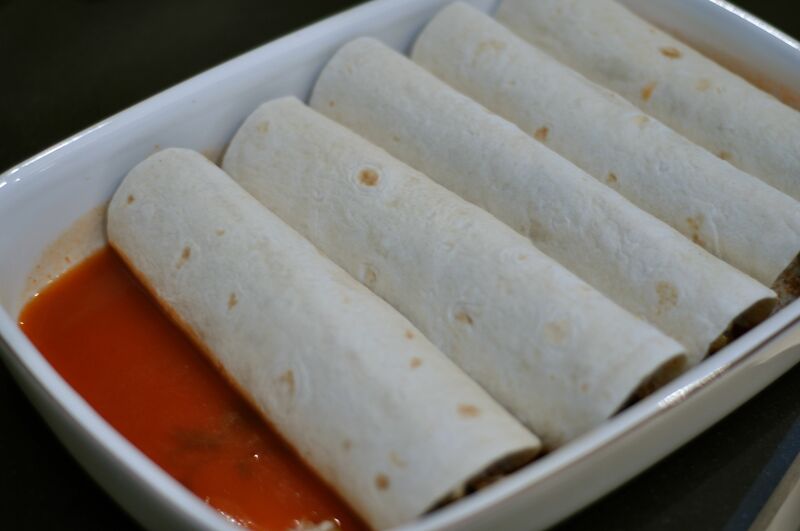 Spread 1 cup enchilada sauce in a sprayed 9 x 13 inch dish. 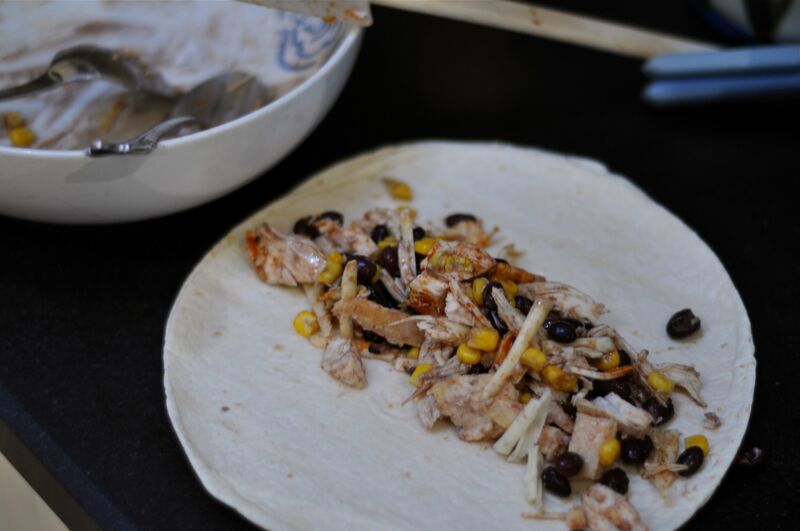 Fill each tortilla with a generous amount of the chicken mixture and roll. Place rolls seam-side-down in the baking dish. Bake for 25 minutes, then remove the foil. 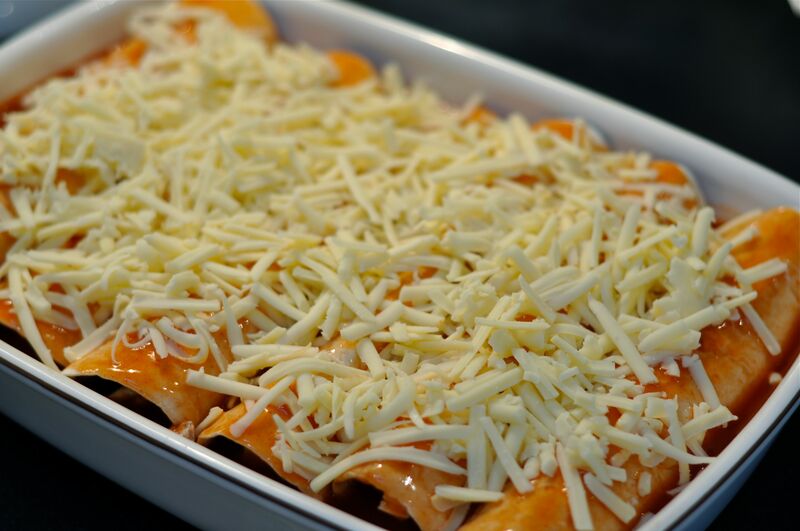 Finish baking for 5-10 minutes or until cheese is melted and bubbly. Serve with your choice of fixings. Looks SOOO good! Copied it to my recipe file.